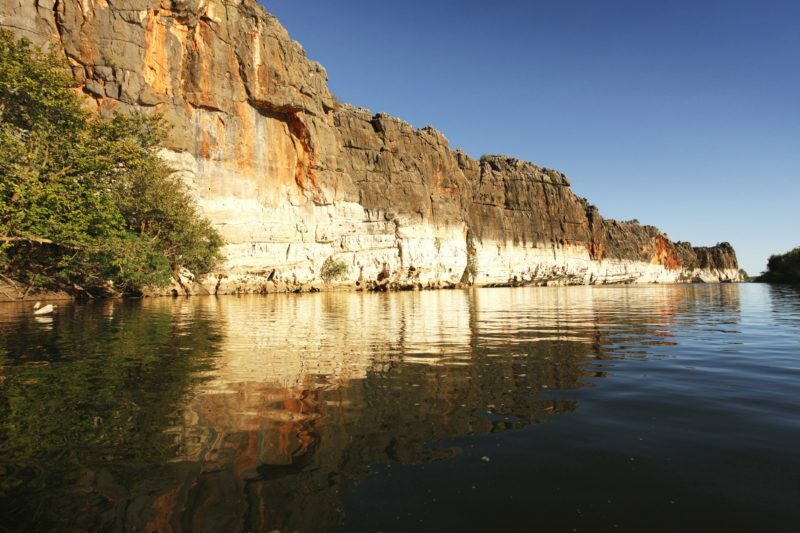 For a taste of Aboriginal culture and stunning outback scenery, visit Geikie Gorge near the town of Fitzroy Crossing in the Kimberley region of Western Australia. 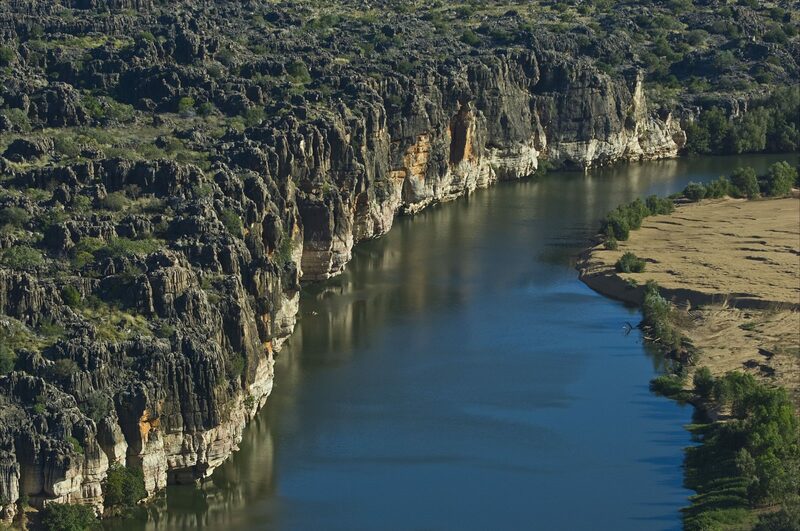 The flood waters of the Fitzroy River have carved out the ancient 30 metre deep gorge through Geikie Range. Here you can see layers of fossils and an ancient reef, which show glimpses of life before reptiles or mammals evolved. 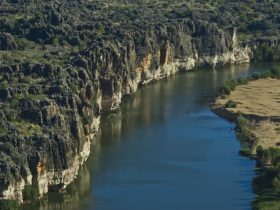 The traditional owners, the Bunaba, call the gorge Darngku. 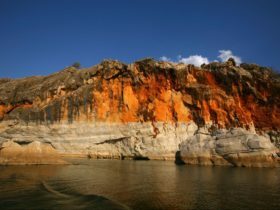 You can hear Aboriginal Dreamtime stories of how the gorge was created on a special boat tour. 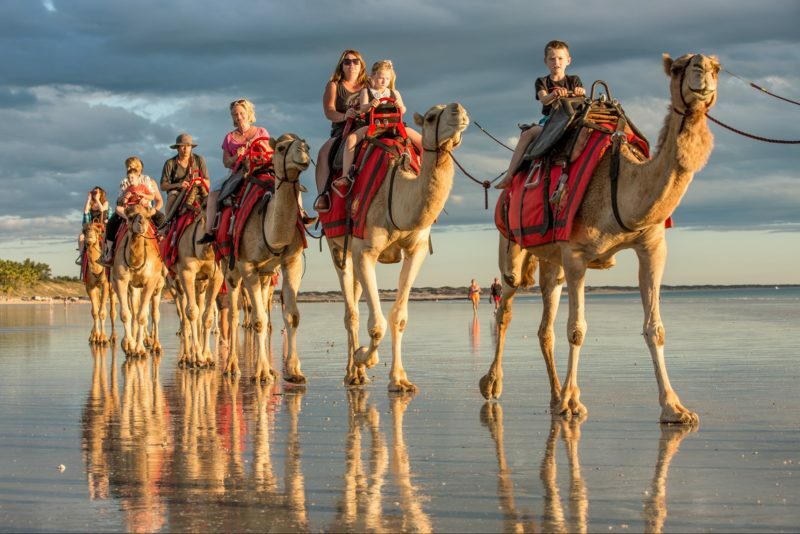 You’ll also see the steep 30 metre high rock walls, dazzling reflections in the water, fresh water crocodiles, fish and fresh water stingrays. The fresh water crocs aren’t considered a threat if undisturbed – so you can even swim off the sand banks! River gum trees, freshwater mangroves, native figs and pandanus line the edges of the river and support fruit bats and a rich variety of bird life. As well as the Indigenous tour there are guided boat trips showcasing the geology, wildlife and history of the area. Geikie Gorge is a 20 minute drive from Fitzroy Crossing and camping is not allowed.